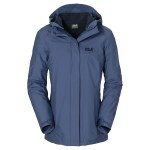 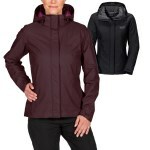 The Women's Iceland 3-in-1 Jacket, from Jack Wolfskin, is a classic, waterproof, windproof, well insulated and breathable, cotton-like finished jacket that will keep you dry and warm in the winter weather. 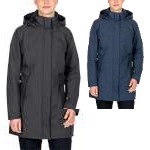 The Texapore Taslan 2L outer of this jacket makes it highly waterproof to 6000 mm and breathable but with a soft cotton-like finish that will all keep you dry and comfortable. 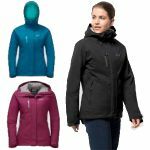 The inner jacket is a warm and robust Nanuk 200 Fleece that can be worn on its own or as part of the 3-in-1 layering system; it is soft, fluffy, durable and quick drying. This combination makes the Iceland 3-in-1 Jacket an extremely versatile, warm and dependable cold wet weather jacket.